Attorney Dr. Nick Oberheiden (“The DOL Lawyer”) and His Team of Former DOJ-Lawyers Are Defending Work Comp and DOL Providers Across the Country: Call Today! Workers compensation and federal workers compensation clinics and providers are subject to federal prosecutions like never before. The Justice Department, not just in California (see ILWU) and Texas has drastically intensified audits, fraud investigations, and prosecutions against DOL and comp providers nationwide. 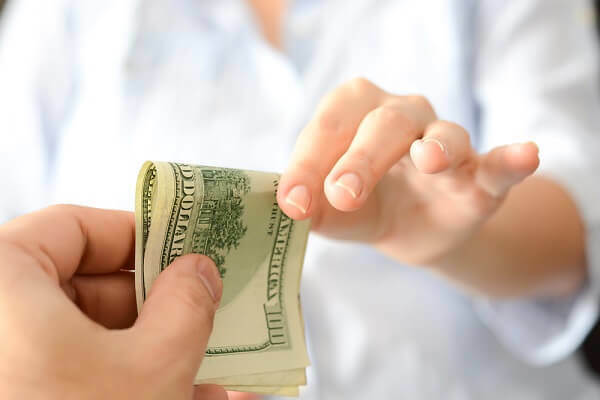 At focus are not just routine clinical services and outpatient physical services, but increasingly allegations of unlawful kickbacks in connection with surgery centers, toxicology laboratories, compound pharmacies, and other ancillary revenue streams. Co-written by former Justice Department DOL health care fraud prosecutors, this article looks at some of those investigations with the view of encouraging providers to task experienced attorneys to install and enforce real compliance efforts to protect the professional licenses, financial assets, and freedom of otherwise potential targets of the next DOL prosecution wave. A former CEO of a California hospital pleaded guilty to federal health care conspiracy charges relating to his involvement in a scheme that defrauded workers’ compensation insurers and the United States Department of Labor. The CEO of Pacific Hospital of Long Beach, California conspired with others to run a 15 yearlong scheme where patients who were injured on the job were illegally referred to Pacific Hospital for invasive spinal surgeries and other reconstructive procedures. Doctors and chiropractors were paid kickbacks to refer their patients to Pacific Hospital for surgery and the cost of the spinal surgeries was billed to workers’ compensation insurers. As a result of the kickback scheme, the various insurers paid out more than $226 million to the hospital. In an attempt to cover up the illegal kickbacks paid, the CEO and the doctors involved would enter into various “contracts” to try to conceal the money. As a part of his plea agreement in the Central District of California, the CEO agreed to help the government in ongoing investigations involving similar kickback schemes. A health care marketer of Orange, California was indicted in the Central District of California for a scheme involving kickbacks from purchased medical equipment. The marketer for Tri-City Regional Medical Center and bribed doctors to refer workers’ compensation victims who needed spinal surgery to Tri-City Regional. The marketer, through a shell company, provided the equipment needed for the surgeries and sold this equipment to Tri-City Regional at inflated prices. The inflated price Tri-City paid for the equipment would be passed on to the insurers and the marketer and Tri-City executives would split the proceeds from the reimbursement. The marketer’s scheme involved millions paid out by the insurers in fraudulent billings. The marketer pleaded guilty to conspiracy to commit mail fraud for his role in the offense. A chiropractor from Austin, Texas has pleaded guilty to his involvement in an illegal kickback and money laundering scheme. The chiropractor, from 2008 to 2015, operated several Texas medical facilities that treated injured workers, particularly postal employees. The chiropractor would refer these injured workers to numerous other health care facilities – including hospitals, surgery centers and pharmacies, in exchange for receiving kickbacks to do so. As a result of this scheme, the Department of Labor was defrauded out of millions of dollars by paying for the services of the injured workers based on the illegal referrals. The chiropractor plead to one count of solicitation and receipt of illegal remunerations in federal health programs and one count of engaging in monetary transactions in property derived from specified unlawful activity and was sentenced in the Western District of Texas to serve 14 years in prison. A Dallas attorney has pleaded guilty to conspiracy to commit health care fraud based on his involvement in a scheme to defraud the Department of Labor and the Office of Workers’ Compensation Program (OWPC). The attorney worked for a treatment center that would provide health care services to injured workers. While working for the treatment center, the attorney stole information from more than 200 injured workers and used this information to submit fraudulent claims to OWPC. As a result of this illegal billing, the Department of Labor paid out more than $26 million. The attorney was sentenced in the Northern District of Texas to spend 120 months in prison for his role in the conspiracy. A licensed professional counselor from DeSoto, Texas has pleaded guilty to conspiracy to commit health care fraud for his role in a scheme that involved millions of dollars in fraudulent billings to federal workers’ compensations programs. The counselor ran health care entities that offered pain management, physical therapy, chiropractic services and mental health counseling that catered to injured federal workers. The counselor, along with other conspirators, falsified patient records in order to bill the federal workers’ compensation programs for services that were either not performed or were not medically necessary. The counselor also admitted to bribing patients to sign patient forms with false information. As a result of his guilty plea, the counselor was sentenced in the Northern District of Texas to 6 and a half years in prison. A doctor from New Albany, Ohio pleaded guilty to an indictment out of the Southern District of Ohio alleging drug, tax, and fraud charges. The doctor and other medical professionals at Southern Lake Medical Center prescribed opioids, including Oxycodone, Hydrocodone, and Xanax to numerous patients without a legitimate medical purpose. When patients would come to the clinic to get a prescription for one of the opioids, the doctor would bill the Bureau of Workers’ Compensation for the visits and also upcode the visits to get the highest rate of reimbursement possible. The scheme run by this doctor resulted in a $29 million loss based on the fraudulent patient visits. How Do Providers Learn that They Are Under Investigation for Workers Compensation Fraud? Most clients contact Oberheiden, P.C. after they were formally notified about an investigation. In the majority of instances, our workers compensation providers seek our help when they received a grand jury subpoena or when they were visited by U.S. Postal Inspection Service, Office of Inspector General, or FBI agents at their clinic with a request for an interview. Sometimes, however, doctors reach out to us when they hear rumors about an investigation or when affiliates or former employees report contact with law enforcement. In the most drastic instances, you will learn about a federal case when your office is subject to federal search and seizure warrant or if federal agents arrest you based on an indictment for health care fraud. If you or anyone you are affiliated with receives a grand jury subpoena or other form of notice, you should immediately discuss your exposure with experienced counsel. A grand jury is tasked to decide whether or not to charge someone with a felony charges, so the mere fact that there is a grand jury in place must be of concern. Call one of the Oberheiden, P.C. federal grand jury defense lawyers to explore ways how to protect your interests and assets. What Is DOL Health Care Fraud? What Are the Penalties for Workers Compensation Fraud? A defendant convicted of workers compensation fraud at trial or a defendant who decided to plead guilty to 18 U.S.C. 1347 must expect severe penalties. Pursuant to Title 18 of the United States Code, a defendant guilty of health care fraud will be ordered to not more than 10 years imprisonment per count, a term of supervised release, criminal fines; asset forfeiture, and a mandatory special assessment. The exact penalty depends on the amount that the government can prove a health care program was damaged and defrauded. The higher the damage, the higher the penalty. For example, if the government claims a provider committed health care fraud and the damage to DOL or the workers compensation program is $ 250,000, that defendant would unlikely qualify for probation unless a number of mitigating factors come together. What Is the Statute of Limitations for Health Care Fraud? In criminal health care fraud investigations, the Statute of Limitations is typically five years. However, 18 U.S.C. 3282 is subject to various exceptions that can prolong the allowable prosecution phase, in particular if the case is charged as a federal health care fraud conspiracy. How Can DOL Providers Get Charged in a Federal Conspiracy? Federal prosecutors like to charge federal cases in form a conspiracy. The conspiracy option allows prosecutors to charge multiple defendants in one indictment rather than in a series of individual indictments and thus provokes dynamics whereby the government is intentionally playing defendants against each other. Oberheiden, P.C. has substantial experience in workers compensation and DOL cases. Former DOL prosecutors and lawyers that actually understand your industry are ready and available to help you. All you need to do is contact us. It’s free and confidential! !